It was a busy start to our last model railway auction of the year with over 350 lots for keen bidders to choose from. We began with the real steam section and this scratch built 2½ inch gauge 4-6-2 ‘Flying Scotsman’ which realised £420. In the O gauge section this kit built GWR 2987 ‘Bride of Lammermoor’ 4-6-0 locomotive and tender achieved £300. 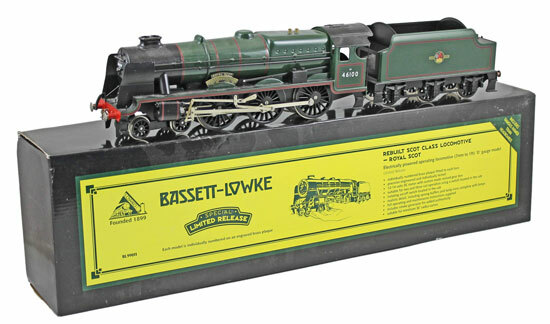 This modern Bassett-Lowke by Corgi BR 46100 ‘Royal Scot’ 4-6-2 locomotive and tender sold for £252. 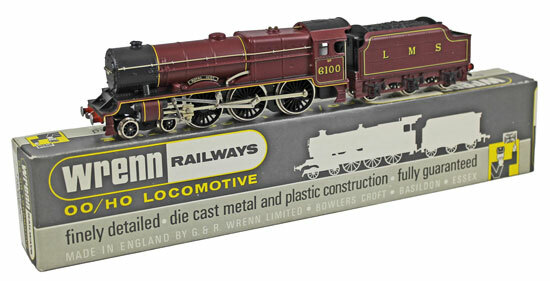 And this Tower Models kit built GWR 4815 brass tank locomotive realised £180. 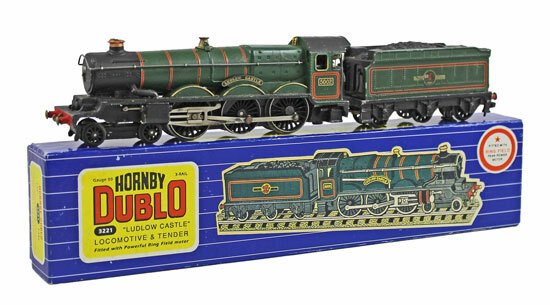 Moving on to the OO gauge section highlights included this Hornby Dublo BR 5002 ‘Ludlow Castle’ 4-6-0 locomotive and tender which achieved £300. 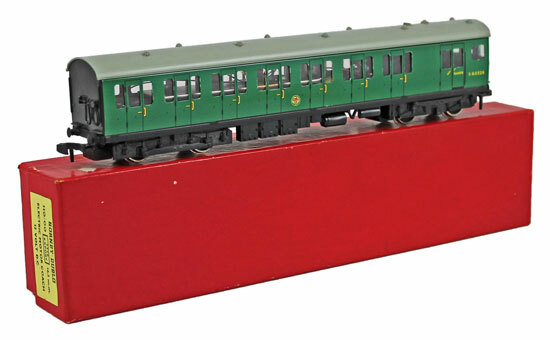 This Hornby Dublo 2-rail Export BR S65326 Suburban Electric Motor Coach No. 2350 sold for £480. 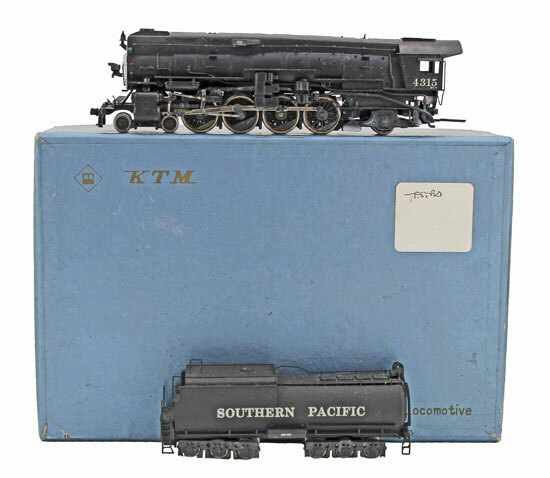 And this KTM (Japan) Southern Pacific ‘Mountain’ type 4315 4-8-2 locomotive and tender realised £252. We had a good range of Wrenn locomotives in this auction. Highlights include this LMS 6100 ‘Royal Scot’ 4-6-0 locomotive and tender which achieved £144. 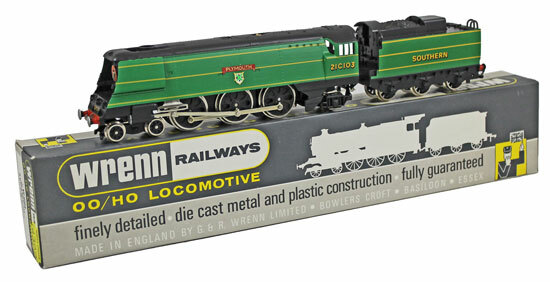 This SR 21C103 ‘Plymouth’ 4-6-2 locomotive and tender sold for £216. And this BR 21C109 ‘Lyme Regis’ locomotive and tender realised £156. Our next Model Railway auction will be held on Wednesday 23rd January 2019. The full catalogue for this sale will be on our website in the next few weeks or keep an eye on our Twitter and Facebook pages which will include updates of our latest auction news.